The dress is clear. 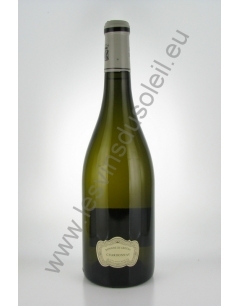 Beautiful nose of rifle stone with some lemony nuances, mouth tense, balanced by a clear sense of roundness, softness. A very long wine in the mouth. Tasters even found freshly picked blackberries. Pure wine, typical, fresh. 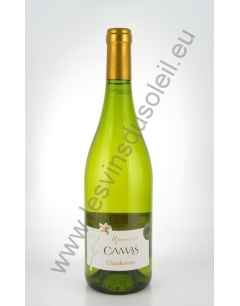 You will find notes of exotic fruits, lemon and quince, minerality, all with a nice length in mouth. 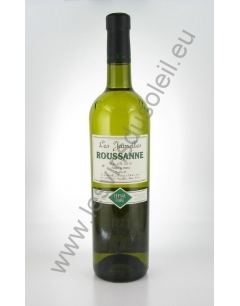 Golden yellow dress, mouth atypical citrus notes, slightly minty, very strong thyme, pine nuts. A minty and spicy finish. Fresh and subtle, between roundness and liveliness, Dame Jeanne white wine blends aromas of pears, white flowers and citrus sweet and fresh notes. 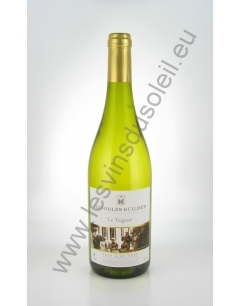 From a blend of chardonnay and viognier, its delicate dress enhances flavors, colors and beauty of the Pic Saint Loup. The color is pale yellow with green highlights. The nose is very complex, floral reminiscent of laurel, acacia or boxwood, it is also very revealing fruity notes of exotic fruits and citrus. The very aromatic mouth, has a good level of acidity and a nice freshness that takes us on a creamy finish. 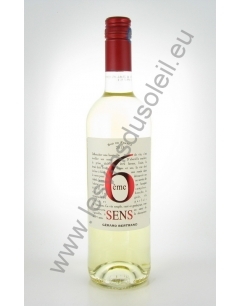 A surprising wine whose opaline color, transparency only indicate the intensity aromas of white flowers and vivacity. Incomparable finesse with which a perfect free between sugar and acidity. Its intense and delicious aromas, freshness and minerality allow it to adapt at any time of consumption. 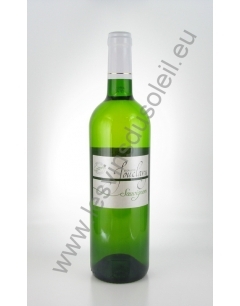 Beautiful pale color, glossy, green reflection, intense nose, citrus, fruity. Very fruity attack, ample wine, generous, good acid balance. Fat with good length. Clear with green highlights. 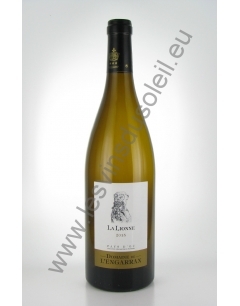 exuberant and rich nose with elegant aromas of citrus, lychees. very fresh and large mouth, a lot of fruit dominate the palate. Wine of great aromatic persistence. Colour: golden yellow of sustained. Nose: finesse, exotic fruits (pineapple). Palate: lively and fresh attack, very fruity, long finish. A beautiful reflection golden. Notes of almond and exotic fruits and violet. Slightly greasy in the mouth, with a soft finish. WITHOUT ADDED SULPHURDress franc gold with green highlights. Aromas of pineapple, pear and fresh grass. 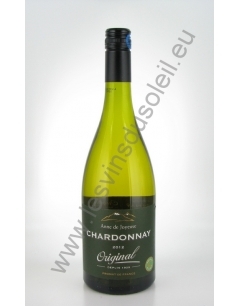 Soft palate, elegant and mineral finish. Pale yellow with silvery green hues, the nose of citrus, pineapple, liveliness with a touch of acidity. His rare roundness for a southern wine will surprise leaving a large amplitude: complex aromas of fresh fruit, fruit in syrup, vanilla. 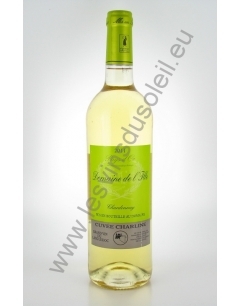 Its golden grape gives great white wines with varied flavors with notes of citrus, dried fruit or brioche. 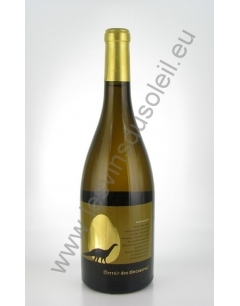 A beautiful golden color with green highlights, this wine develops delicate aromas of dried apricot, pineapple and dried banana, highlighted by praline, hazelnut and vanilla notes. 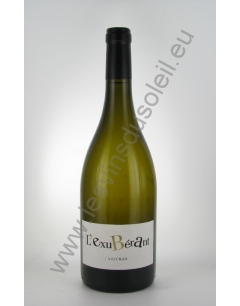 Very round, generous and long finish, it offers a perfect balance between roundness and freshness. 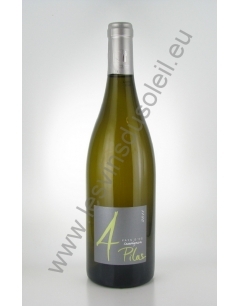 Pale dress with silver highlights, fruity nose is discreet, which opens with aeration to notes of white flowers. In the mouth, the material is present but delicate wine with a sharp vivacity. 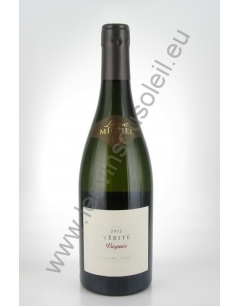 Cuvée "Truth" Viognier is racy, pure, very straight and offers delicate fruit notes with white flesh, floral and toasted. The mouth is dominated by pleasant fruity flavors ending on a peppery and mineral finish. 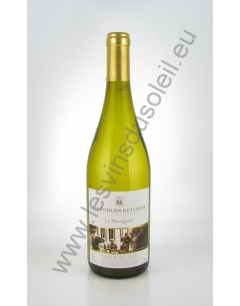 Straw yellow in the glass with green and golden hues, this powerful white wine has a rich and elegant bouquet of apricots, pineapple and violet. The sensations on the palate is full and rounded palate with a fruity structure that is both sweet and stylish, while presenting a surprising freshness, persistence and depth. A super light and dry wine. A yellow dress gold to greenish sheen. An intense nose of candied fruit, orange peel, dried flowers. A fresh mouth, powerful and rich. A long, lively, slightly peppered. Intense citrus nose. In the mouth, the freshness and fruitiness are fully expressed by relying on a nice size with a mineral final, hard and long. 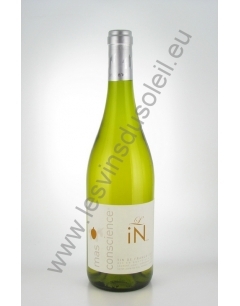 Wine of a brilliant and luminous color with a nose with notes of white flowers and grapefruit. Fine and balanced. Golden color bright. Delicate nose of white flowers blossom, acacia continuous with an elegant mouth, white peach, citrus and slightly toasted. 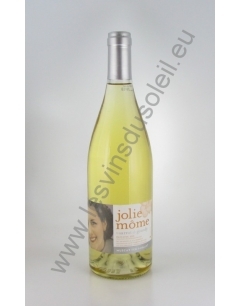 With its pale gold color is a rich, bold wine with floral notes on the nose (honeysuckle, peony, hawthorn) and aromas of apricot and dried fruits on the palate. Of great aromatic intensity, it brings finesse, lightness and elegance. The lovely pale yellow g of an, this wine is very subtle and nuanced. 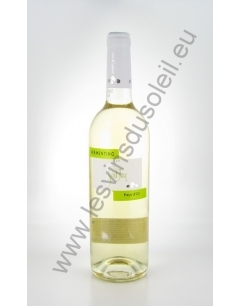 Its fruity flavors of peach jam and apricot are accompanied by aromas of white flowers. One detects a brewing button (tea, lime), to finish with a final honey. 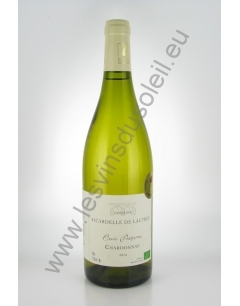 The palace is relatively rich, round, with very little acidity. It has a final honey, caramel and straw. Beautiful dark red color. Red fruit aromas (blackcurrant, strawberry). 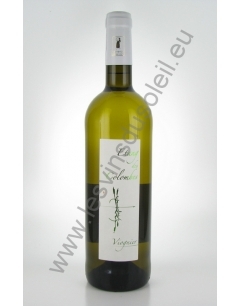 Light fresh vegetal note (pepper green, characteristic of Sauvignon). spicy flavors (cinnamon, mint, honey). subtly woody finish (cedar, oak, walnut). Elegant and complex, this wine is long and velvety on the palate. Tannins are present and well balanced. No herbal aromas. 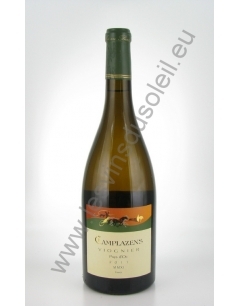 This Viognier is expressed with notes of white flowers (acacia), citrus and pear. After a supple attack include the fruity and floral taste. The tasting ends with a greasy feeling and nice curves. Beautiful dress, bright, pale yellow with green reflections. This nose, floral, anise, complete with a touch of fresh lemon verbena. Beautiful and lively freshness on the palate. Final showing of garrigue scents. Very pale yellow, bright green, clear reflections. 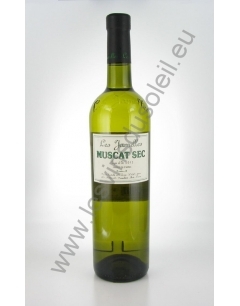 warm nose, complex, with honey and tropical fruit scents (litchis, pineapple). Fresh, round, balanced, with a nice aftertaste. 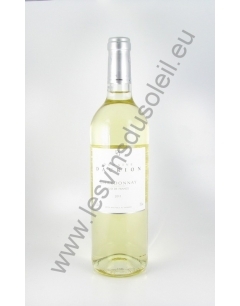 Pure Sauvignon. Beautiful color of a pale yellow with green highlights beautiful. typical varietal nose, white flowers, white fruits and exotic touch. 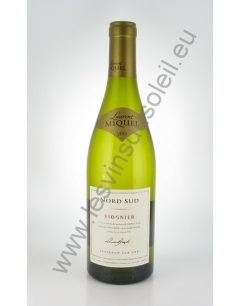 A powerful and rich palate with aromas of ripe white fruit. In the final, there are a lot of mixed fresh with notes of toasted buns. Pale color with green highlights. 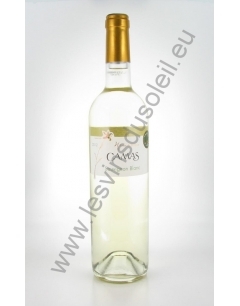 A floral nose (jasmine), fruity (mango and apricot). 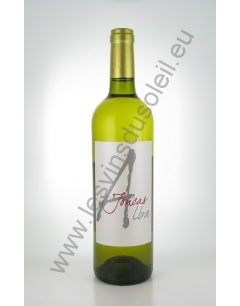 The palate is fresh, with a melon flavor with a final good length on white fruit, apricot and toasted notes. 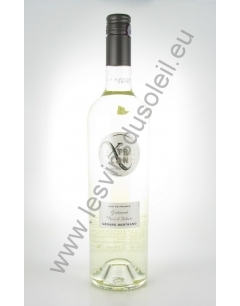 "Best-seller" The White range Jamelles Our Sauvignon Blanc is a dry, aromatic wine with intense aromas and exuberant round, refreshing finish. 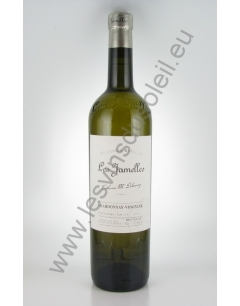 All Wines Jamelles, Viognier is the one who is experiencing the greatest enthusiasm from fans. 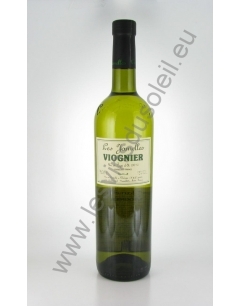 With its fruity aromas, roundness and freshness, Viognier is certainly the white variety to discover. Through the Chardonnay Jamelles, Catherine Delaunay wanted to show its know-how bourguignon. She gets a complex and elegant wine, a fresh balance of fruit, finely woody aromas and a rich finish, long and harmonious. We discover the olfactory level hints of white fruits such as pear and peach and floral notes subtly toasty such as acacia and violet. 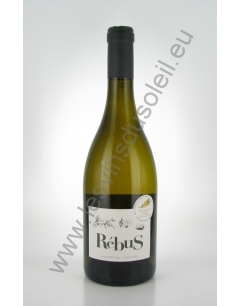 On the palate, the attack shows broad and powerful, with a good acidity that gives a fresh and balanced wine. 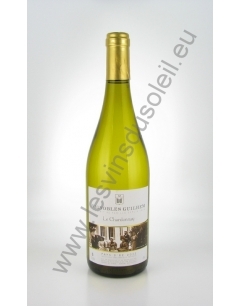 Very pale yellow brilliant, very fresh and fruity nose of lychee, white peach and citrus. Lively and light attack, very fresh and toned mouth. Mineral finish and straight. Pearl light sensation. Cuvée pale yellow color with crystal reflections. The nose of this Chardonnay is fine, offering aromas typical of this grape. 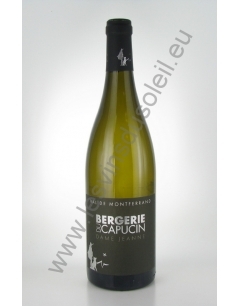 The mouth is intense with aromas of white flowers and combining freshness and roundness fisheries. The persistent finish leaves the palate few endearing caudalies revealing hints of lemon and citrus. 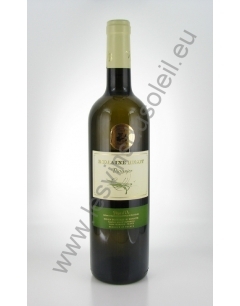 It is an elegant wine with a pale yellow color with green hues, floral nose with notes of genet and a rich and firm mouth.